From the moment, I became pregnant with Hugo I knew that I wanted to try breastfeeding again. I had previously breastfed my first son Henry and although the initial road was bumpy it was actually a great bonding experience for us. Our breastfeeding journey is going really well and in combination with that, I have also been expressing breastmilk to feed via a bottle. To help in my expressing venture I have been trying out the Clip and Pump Hands-Free Nursing Bra Accessory by Bravado. I love breastfeeding. I feel like it works great for my family and fits well into our routine. The trouble I find with breastfeeding is the pressure. When you are exclusively breastfeeding you are your babies’ sole food source so when they are hungry it is down to you to solve that. Although I hate to admit it I have found this particularly demanding since having Hugo. I think it’s largely because my time and attention is sometimes required elsewhere and I can’t exactly ask Hugo to wait! In order to help relieve this and give myself a break of sorts, I began to express milk to be fed via a bottle. Expressing and feeding via a bottle every now and again is really working well for our family and it gives my husband – Ollie a great chance to bond one on one with Hugo. It also means I can have some time for much-needed self-care, catch up on any work commitments and spend some quality time with Henry. The problem I have found with expressing is that during this time there is little else I can do. Using my breast pump requires both hands to hold it in place for the full cycle. I am therefore restricted from doing anything else during this time. I had all of these high hopes that I would be able to feed Hugo from one side whilst expressing from the other! Unfortunately, that in itself is such a juggling act it’s just not possible. Sometimes it feels as though it takes more time to pump than I actually gain from feeding the expressed milk and I was almost ready to quit entirely. When I first heard about the Clip and Pump Hands-Free Nursing Bra Accessory I was intrigued. If I could express milk whilst keeping my hands free it would make this whole process much easier. It would mean that I could even express and still work which would mean I wouldn’t be losing any time! Using the Clip and Pump is easy as it securely attaches to the B-clips on a Bravado Nursing Bra. There is no need to change the bra and it means once you are done you can detach it and continue with your regular nursing bra. The idea is that the Clip and Pump holds the breast pump easily and discreetly in place whilst you express. You even have the option to breastfeed on one side whilst pumping on the other. What’s even better is that there is no need to remove your top or nursing bra in order to attach or detach the accessory making it as discreet as it is comfortable. 4 –row hook and eye closure at the back makes secure and fully adjustable for comfort. 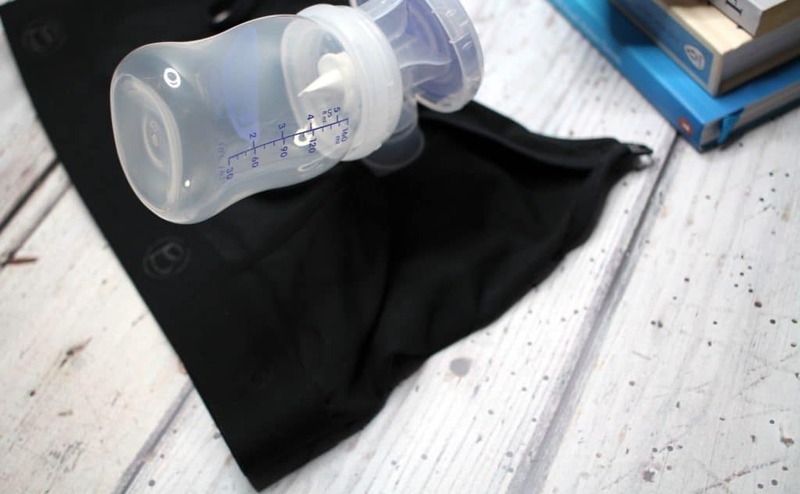 Easily insert and remove breast pump without removing the bra. I am already a fan of the Bravado Nursing Bras as I feel they are well fitted, soft and comfortable to wear. I’ve struggled to find nursing bras that offer enough support in the past so finding something I really feel comfortable in has been difficult. I was worried at first that the Clip and Pump may be uncomfortable to wear or that it would feel restricting. I was pleasantly surprised at how comfortable it was to wear. Mostly though I was impressed with how easy and convenient it was to attach and detach. I assumed it would require me removing my bra and top but that wasn’t the case at all. 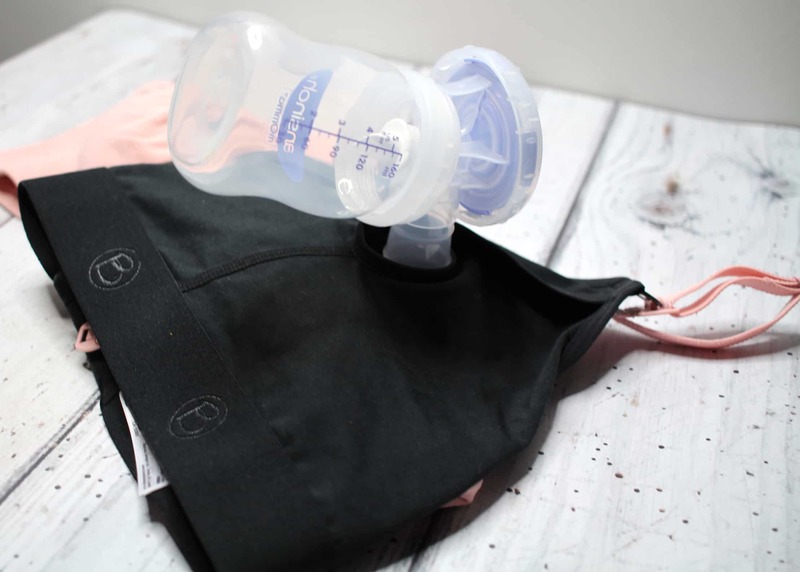 Once the Clip and Pump is attached I found it really easy to insert and remove my breast pump. The overall design makes the process discreet and comfortable. The breast pump is held securely in an upright position preventing spillages and leaving you completely hands-free. I was really impressed with how sleek and flawless the design was and having the capability to feed Hugo on one side whilst expressing on the other was so convenient and simple. Using the Clip and Pump has really made an impact on my expressing journey and I think without it I wouldn’t be able to express as much or as easily as I now am. 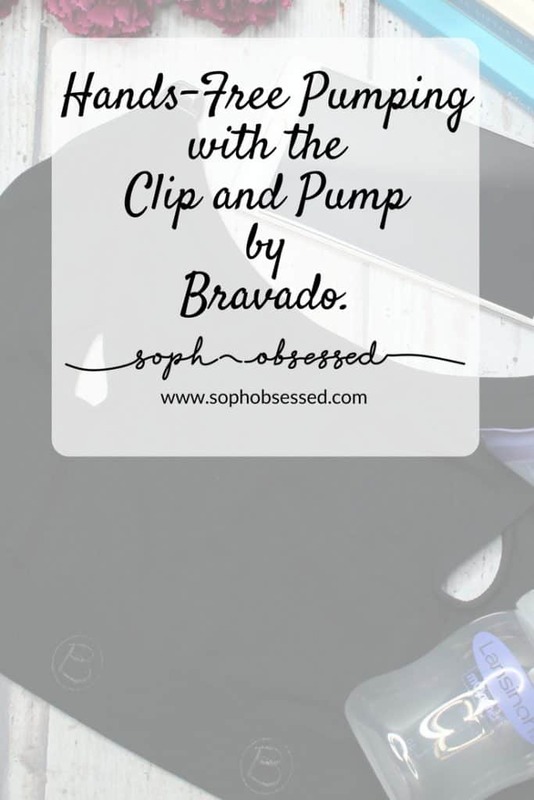 You can find out more about Bravado and browse their amazing nursing bras and the Clip and Pump on their website here. Next Post Your Vileda Online Community – What is it?